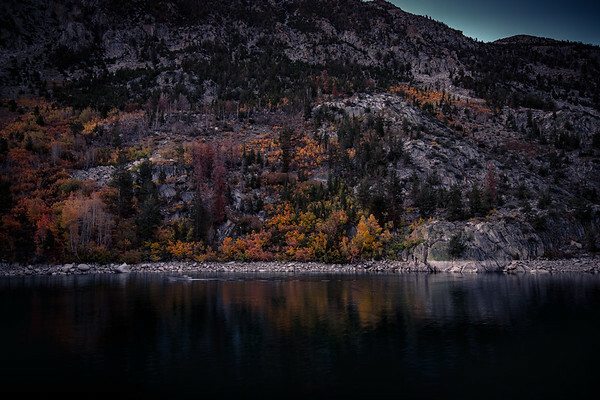 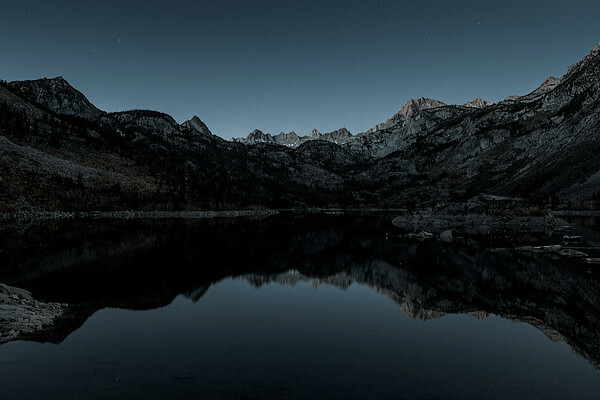 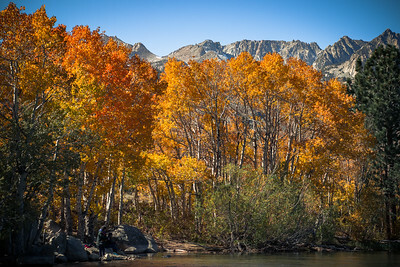 Los Angeles landscape photographer Kevin Gilligan captures fall color in the Eastern Sierras. 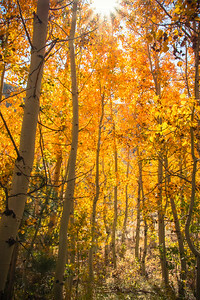 California has brilliant fall color. 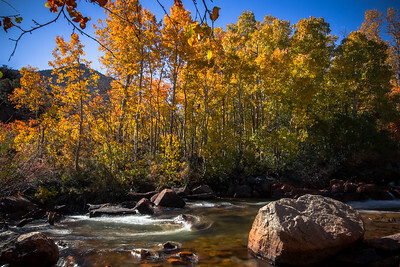 Rock Creek Canyon about 20 minutes west of Bishop, CA has wonderful fall colors. 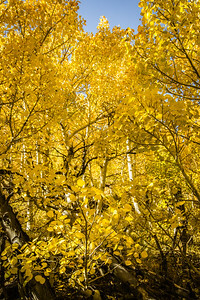 Photographers flock to the area to photograph the bright yellow aspens and brillaint reds. 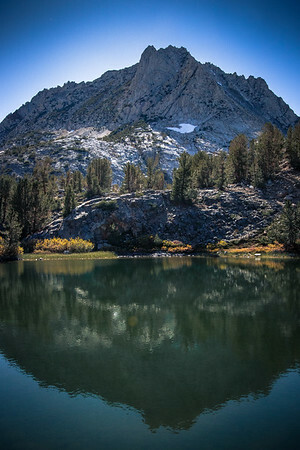 There are many wonderful hikes around South Lake, North Lake and Lake Sabrina. 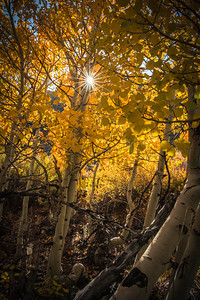 The mid to late afternoon is a great time to photograph these aspens on the way to South Lake. 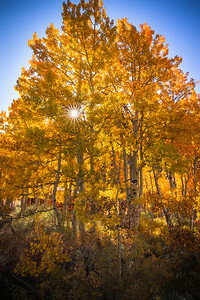 The sun is streaming over the top of the mountain across the road and into the Aspens. 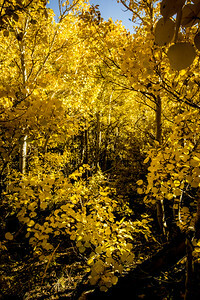 About 10 minutes after this the sun went behind the mountain and the light in this Aspen grove shut down until the next day. 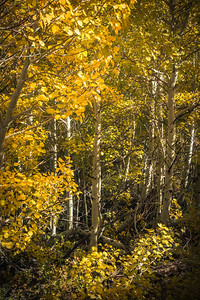 WIth lots of canyons and valleys in Rock Creek Canyon you have to pay attention to the sun trajectory or your images will not show the brilliant yellow of the aspens. 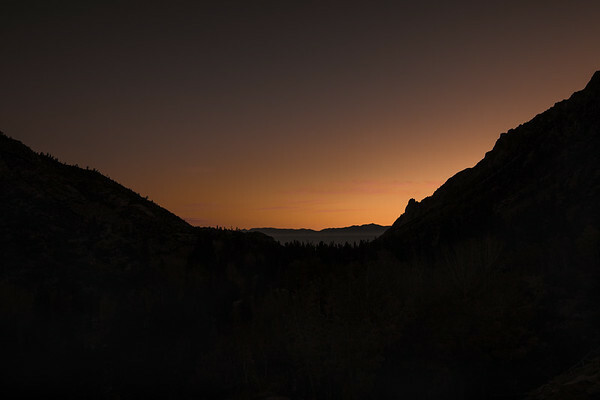 A high f/stop provies for spires around the sun. 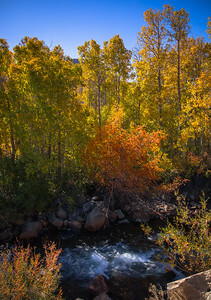 Fall foliage near 2nd Intake on the South Fork from Lake Sabrina. 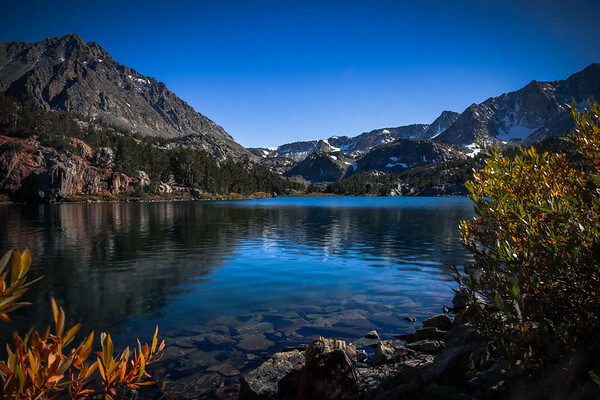 The beautiful and peaceful lake can be reached via a rocky swithback trail from South Lake. 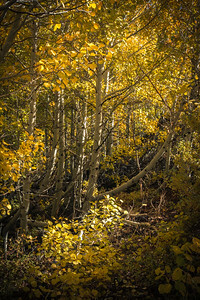 The hike starts at about 9500' feet and gets up to about 12,000' just past Long Lake. 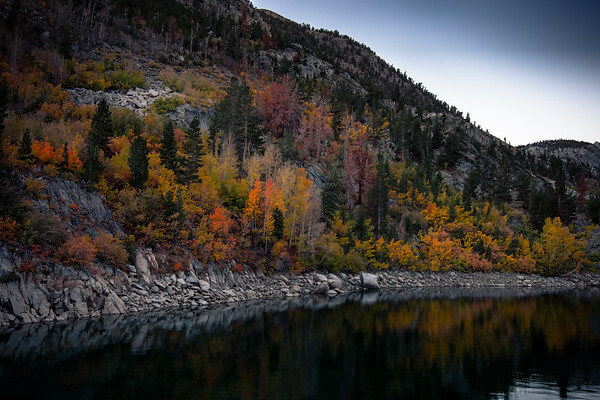 It's not an easy hike, but the payoff is worth it.